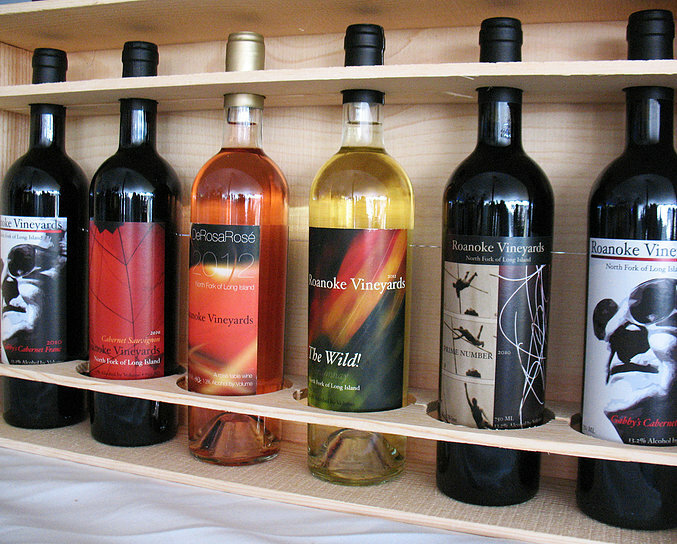 Roanoke Vineyards is owned by long-time Long Island Vinyardist Richard Pisacano and his wife Soraya. Richard has been tending vines and growing grapes in this appellation for over thirty years; he has helped plant and/or maintain most of the first vineyards on the island. For over ten years, he has been the Vineyard Manager at Wölffer Estates. Richard brings a lifetime of experience to Roanoke Vineyards, and in just four years, has already amassed a formidable collection of accolades, including the award for “Best Vinifera Red Blend” at the 2006 New York Wine and Food Classic. Richard’s partner-in-wine is Roman Roth, the winemaker behind Wölffer’s fine wines, as well as his own prestigious Grapes of Roth. At Roanoke, our goal is to make the highest quality, limited-production, hand-crafted, ultra-premium artisanal wines possible. We want our wines to express both the singular characteristics of our unique appellation (subtlety, refinement, elegance, culinary companionability), and the long-standing and legendary characteristics of the great wine traditions we admire (balance, harmony, smooth muscularity, earthiness, rusticity). Save for the occasional exclusive feature, we do not distribute to retail outlets or restaurants; our wines are only available on-line or in our tasting room. If you have not yet had a chance to visit us, we encourage you to do so. Stroll through the vines behind our tasting room, or picnic on the lawn beside them. Taste a flight of wines with one of our highly trained and informative staff members, or share a bottle of wine on our beautiful patio. Make arrangements to have a private hosted tasting in our new tasting house, or schedule for your next very special event to be held in our events room. If geography prevents a visit, take advantage of our on-line store, and order some of our fine wines for your table that way. It will be our pleasure to ship you a taste of The North Fork.